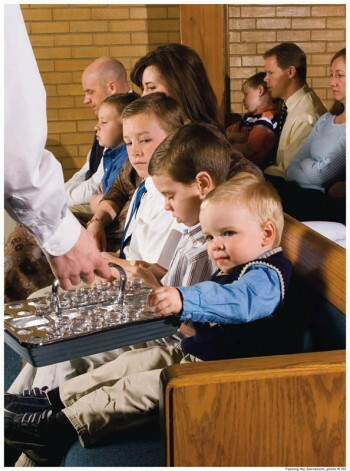 Holy Communion: What Do Mormons Practice? 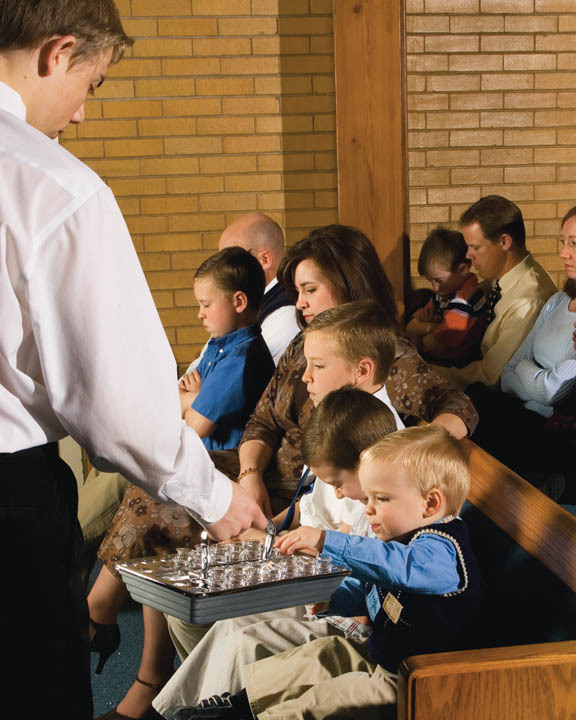 Mormons (as members of The Church of Jesus Christ of Latter-day Saints are often called by those of other faiths) believe that the sacrament is an important ordinance that gives partakers an opportunity to renew their baptismal covenants. When we are baptised, we are cleansed of sin and declare ourselves members of Christ’s church, and the sacrament gives us an opportunity to “refresh” this commitment. Other Christian denominations typically refer to the partaking of bread and wine as “Holy Communion,” and that is basically what our sacrament is. There are, however, some very obvious differences in how we go about our communion. We use water instead of wine, in order to remain faithful to our health code known as the Word of Wisdom, which we consider to be prophetic revelation. However, we also believe that members can use whatever they have available for their symbolic representations of the body and blood of Christ, and there have been some instances where members gathered and used crackers and juice for their sacrament because it was all they had. Most often though, our sacrament consists of bread and water. Our sacrament is blessed and passed out to the congregation (which means you won’t have to get up out of your seat) by those who bear the Aaronic Priesthood. Those blessed with the Priesthood are given the power to act in God’s name, with certain limitations known as “keys.” The number of keys someone holds determines their level of authority in the Priesthood. The first level is typically given to young men who have already been baptised, have reached the age of twelve, and are living according to the standards of the gospel. Men or young men who hold the lowest level of authority in the Aaronic Priesthood are known as Deacons, and they get to pass the sacrament to the congregation. Teachers (usually 14-year-olds) get to prepare the sacrament, and the Priests (usually 16-year-olds) get to bless it. A member must be blessed with the approriate “keys” and level within the Priesthood in order to participate in the passing, preparing, and blessing of the sacrament ordinance. It is this Priesthood power which makes the sacrament holy and blesses it. Those who partake of the sacrament do so to to renew the covenants they made at baptism. The power the sacrament can have in our lives is a two-way street. It is sacred, but it is not magical. We have to do our part for the cleansing and sanctifying power of the sacrament to have an effect on our lives and our hearts. This means that when we partake of the sacrament, we should be humble and repentant. If there is something in our lives that we are struggling to overcome and need some time, we may decide to skip partaking of the sacrament until we have sufficiently humbled ourselves and repented. In fact, there are some serious sins that require abstaining from partaking of the sacrament as a part of the repentance process, until one has truly repented. Anyone seeking a better understanding of the Mormon sacrament should pay careful attention to the words of the blessings over the bread and water (D&C 20:77, 79), as well as the specifics of the baptismal covenant we are renewing, which can be found in Mosiah 18:8–10. We partake of our sacrament with reverence, considering it just as sacred and holy as other churches consider their communion. Because it is a renewal of our baptismal covenants, those who have not been baptised are encouraged not to participate. It is a time to remember the loving sacrifice that our Savior made for us, so that repentance and sanctification is possible. Without the atonement, this ordinance would be meaningless, and all our hard work in striving for perfection would be for naught. The sacrament helps us draw closer to Christ as we are reminded of our covenants and blessed for our efforts, all in a symbolic representation of the process of repentance and sanctification Christ is actively working in our hearts on a daily basis. What other churches call “Holy Communion” or “The Eucharist” is called the “Sacrament” in The Church of Jesus Christ of Latter-day Saints (often mistakenly called the “Mormon Church”). The Sacrament is blessed and passed to the congregation each Sunday by worthy priesthood holders. We use bread and water. Partaking of the Sacrament renews our baptismal covenants. As a member of the Church, I am grateful for the Sacrament. It is a time to remember Christ and His sacrifice for us. It is a time to remember the love Christ has for each of us. It is also the time to repent and renew our efforts to be more like Him. Most Christians reading these verses understand that what is being talked about here is what is commonly referred to in Protestantism as the Holy Communion, in Catholicism as the Holy Eucharist, and by members of The Church of Jesus Christ of Latter-day Saints (sometimes inadvertently called the “Mormon Church”) as the Sacrament. Regardless of the religious terminology that is used, the symbolism which is presented in the administering of the sacred ordinance is the same. Whenever we partake of this sacred ordinance, we do so remembering the atoning sacrifice that Christ made for each of us in order that we could be set free from the sin that spiritually separates us from our Heavenly Father, and have a way to one day return home to live with Him for all eternity. There are some Churches which administer this sacred ordinance on a weekly basis. There are others, like the Baptist Church that I grew up in, that only observe the ordinance once per month, and there are still others that observe the sacred ordinance on an even less frequent cycle of once per quarter. Regardless of the time interval that is used, we should always partake of the ordinance in remembrance of the Crucified One—our Lord, Savior, Master, and Redeemer—the Lord Jesus Christ. In The Church of Jesus Christ of Latter-day Saints, the Sacrament is blessed and passed to the congregation every Sunday. As we partake of the emblems of the Sacrament, it is a time to not only remember our Savior and His atoning sacrifice, but it is also a time for us to examine ourselves and reflect upon the relationship that we have with Jesus Christ, and to renew the covenants which we made at the time of our baptism. The ordinance of the sacrament makes the sacrament meeting the most sacred and important meeting in the Church. It is the only Sabbath meeting the entire family can attend together. Its content in addition to the sacrament should always be planned and presented to focus our attention on the Atonement and teachings of the Lord Jesus Christ. It is for these reasons that the Sacrament is administered, passed, and received by the members in an atmosphere of quiet reverence. The conducting of the meeting, including any necessary business, is brief and dignified, and the talks that have been prepared by those members who have been assigned to speak during the meeting are spiritual in both content and delivery. The music that is chosen for the meeting is appropriate, as are the invocation and the benediction. We need to qualify for the cleansing power of the Atonement of Jesus Christ. 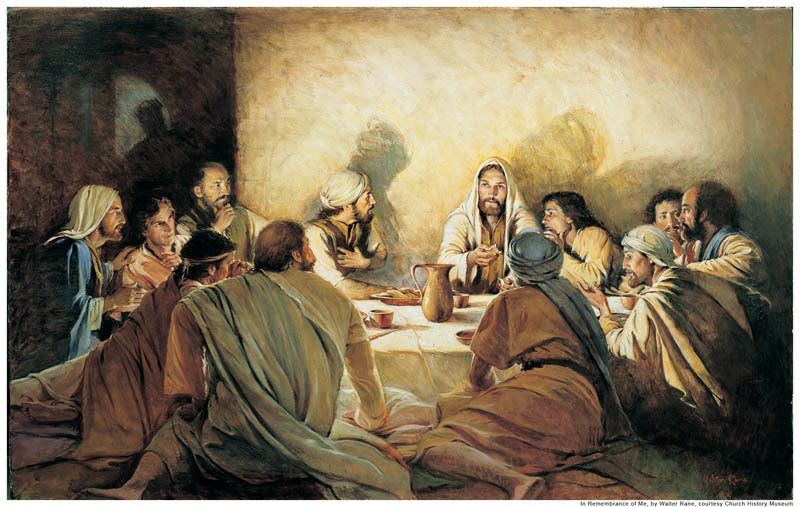 We do this by keeping His commandment to come to Him with a broken heart and a contrite spirit and in that wonderful weekly meeting partake of the emblems of the sacrament and make the covenants that qualify us for the precious promise that we will always have His Spirit to be with us (see D&C 20:77). Doris White is a native of Oregon and graduated from Brigham Young University with a degree in English and a minor in Editing. She loves to talk with others about the gospel of Jesus Christ.